August was kicked off with the BookTube-A-Thon and it was a great way to get my reading back on track. This book was for an author who shares the same last letter of your surname challenge (such a mouthful). It's book 9 or so in these cosy mysteries and boy am I bored of this series. Everyone is just so perfect and everything is so bloody NICE! I think I'd enjoy them more if they weren't all murders, I'm just not buying all these murders in this small town. And the fact that the same person solves them. 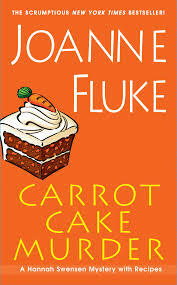 Probably won't pick this series up again but I might try another cosy mystery series as they are quick and simple to read for when you're in a rut or just want some fluff. 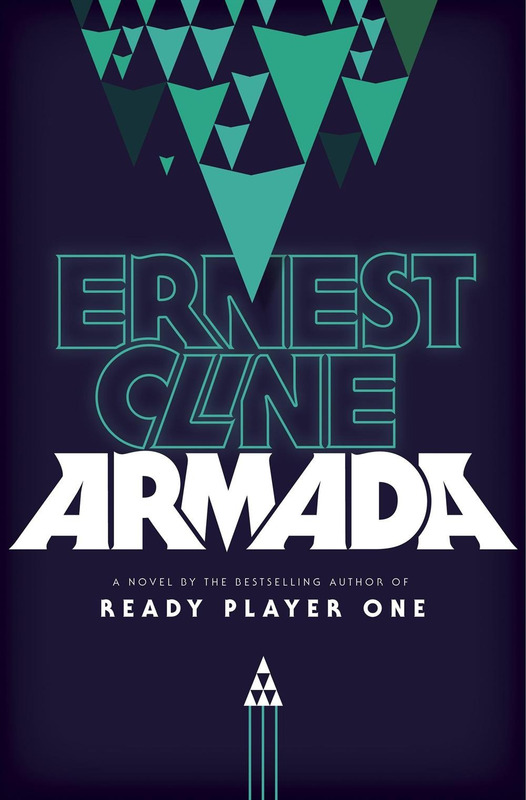 I was excited for this book as I LOVED Ready Player One and I was so happy to excepted on NetGalley to read this. It's about Zack, who's plays a lot of video games and when one day he sees the spaceship from one of the games outside, he thinks he's going crazy. Just like his father did years ago before he died, who thought the government had invented certain games and films to train people for an upcoming war. If you've read Ready Player One you probably know how this all goes but there was something off for me. I can't put my finger one it, but I didn't enjoy it as much as I did enjoy Ready Player One. It felt rushed at times and kinda sloppy. In the book Zack listens to an old mixtape his father made years ago and at the end of the book there's a listing for all the tracks which is really cool. This book was the 'a book with blue on the cover' challenge for BookTube-A-Thon. So I had been borrowing these books from the Manchester library and when it came to read this book, the final in the series, of course it wasn't in Manchester! So I borrowed it when back in Ireland. 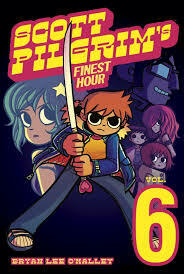 It wraps up the entire Scott Pilgrim series, I really enjoyed it and it's a good place to start when it comes to graphic novels as it's quite accessible. I read this for the 'read a book without putting it down' challenge. I read this for the 'read someone else's favourite book' challenge as it's Ariel Bisett's favourite book. I've only ever read 1984 by George Orwell and wanted to pick up more of his work. This is a classic, I barely have to explain what it's about as it's so well known. 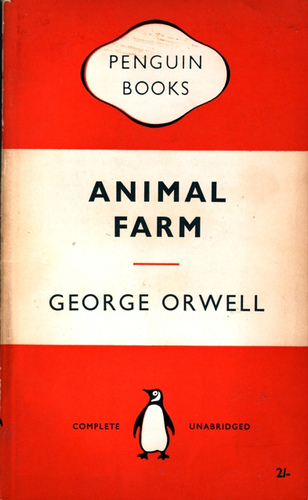 I really loved it, I'm looking forward to picking up more Orwell in the future. This book was for the 'read 7 books' challenge but I read it 5th in the month. 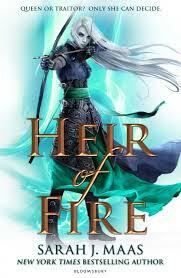 The third book in the Throne of Glass series, which is a kickass fantasy series. I'm not going to talk about this much, I read the first book in March which you can check out the review here. This book was picked because it was the last book I acquired, when I went to York with my friend Sarah. The book is party history, part travel guide as it shows you places in London that have criminal associations from over the years. 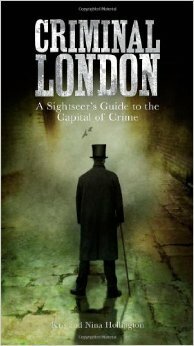 It includes two walking tours you can do, one that involves the Kray Twins and one that's a Jack the Ripper tour. I thought it was fascinating at times and next time I'm in London I might flick through this book first to find one or two new places to visit. For the final BookTube-A-thon challenge, I had to read a book I wanted to read. And I had bought this book a few months previous but hadn't gotten around to reading it. 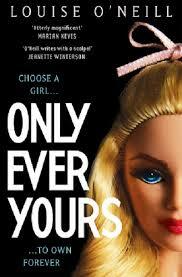 Only Ever Yours is set in the future where girls go to school and learn to be either a companion for men, a concubine for men or a teacher for the schools. The girls grow up learning to be obsessed with their looks and body and how to be perfect. But when of the girls starts going off the rails, her friend can't help but worry for her. What is she doing and why is she doing it? This struck me as a sort of The Handmaid's Tale for teenagers and I'm not the first person to think so. It's not a bad thing, in fact I think it's great as it's more accessible than The Handmaid's Tale for younger girls and I think girls should be reading books like this, books that make them think and especially think about what it's like to be a woman. I read this as part of BookTube-A-Thon too though it didn't fit into any challenge. It's hard to describe this book, it's filled with pictures and quotes, a big think piece about our future as humans and the future of the earth. I picked it up as I saw it in one of Leena Norms videos. You can flick through it, pick random pages, read it in one go, go back and reread certain parts. It's a perfect bathroom read! I enjoyed The DUFF earlier this year and decided to pick up this book, a companion novel to The DUFF featuring Sonny, a compulsive liar who gets wrapped up in a big web of lies when she pretends to be her best friend talking to a guy Sonny hates but instead falls for him while talking to him. Only problem is he thinks she is Amy. 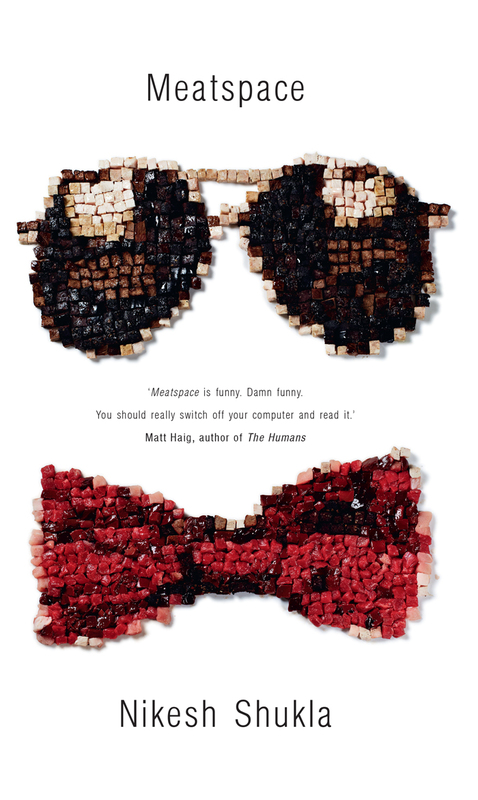 I liked the book but felt it was slightly lacking compared to The DUFF. Not that I disliked this book, but I think I warmed more to Bianca than to Sonny. Speaking of which, it was nice to see Wesley and Bianca briefly in the book as well. If you enjoyed The DUFF, then you'll probably enjoy revisiting the world of Hamilton High. 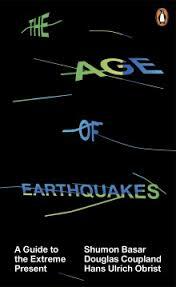 It's quick and fun to read and the characters are believable, which is probably because Keplinger is so young herself. Another NetGalley request, Kitab Balasubramanyam is having a rough few months. His girlfriend has left him, he got fired from a job he hated and he following the release of his first book, he's got major writers block. So when he gets a request from someone with the same name as him on Facebook, he barely even thinks about it. Until Kitab Number 2 turns up on his door. Chaos insues. The book was interesting, Kitab 2 was just crazy, I have no idea what I'd do if someone turned up like that and tried to take over elements of my life. It was funny at parts and I enjoyed it but didn't love it. I did like how it made me think about social media and how much it's taken over our lives. 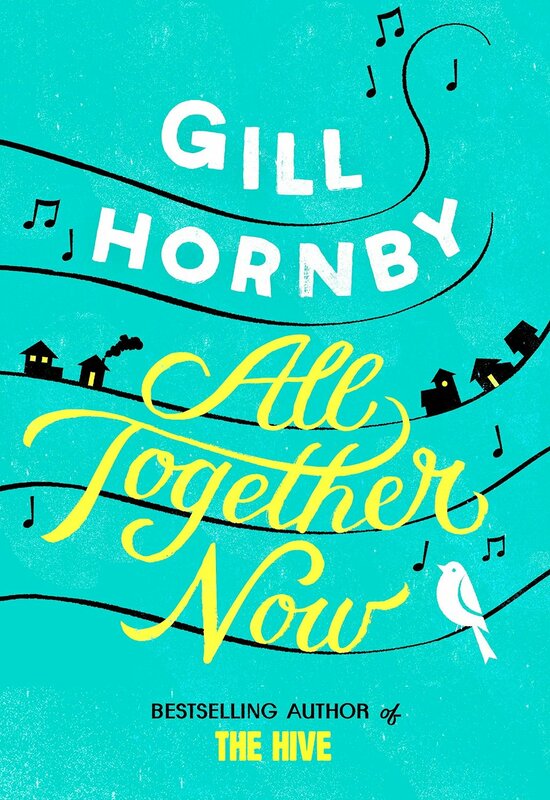 I read The Hive by Gill Hornby last year and enjoyed it so when I saw this on NetGalley I requested it. It follows Tracey Leckford, a single mother, who just wants to be left alone, to deal with no one but her son. She does her best to blend in at work and has never met any of her neighbours. Until one day, Lewis, not only her neighbour but member of the Bridgeford Choir, knocks on her door and asks her to join the choir. Reluctant at first, Tracey goes along and from there the story takes off. The mismatch of characters in this group made it interesting, to see them all interact with each other. I loved seeing the progression of the group, friendships being formed and how the characters gained confidence. This story sucked me in and kept me interested, a nice quick contemporary read. And that's August! A nice bit of reading done. Just September and October to go and we're up to date! Well, it is about animals...kinda! It's genius how it's written really. And yes, I remember you loving Meatspace!